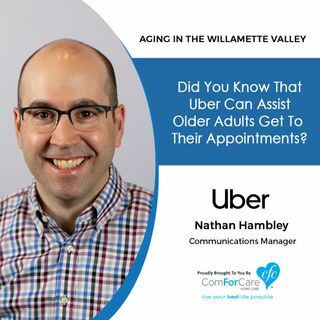 In this episode, Nathan Hambley, Communications Manager for the Pacific Northwest, at Uber joins us to discuss how Uber can help older adults who may, or may not, be internet savvy. We discuss how to use Uber without a smartphone and how families can arrange for rides for their loved ones and receive alerts on the ride progress. Also, some clinics and doctor’s offices can arrange rides for their patients too! We also discuss Uber Eats which can deliver meals to your home! Don't miss this ... See More exciting episode about Uber!